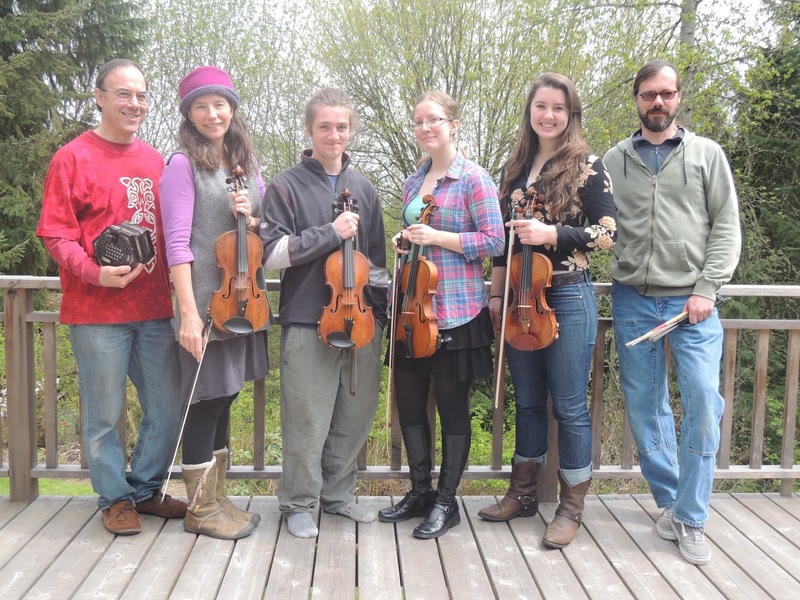 The monthly Black Diamond Contra Dance will feature the local band Black Diamond Fiddle Club (BDFC). 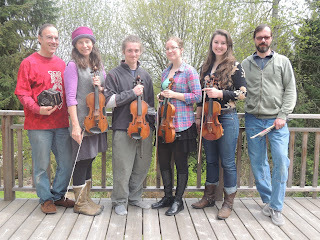 BDFC features three fiddlers, Erin Hennessey, Sam Langley, and Rosie Sharpe, accompanied by David Rivers on guitar and Brian Phillips on percussion. BDFC plays tradition contra dance music from Quebec, New England, and Ireland, with the ocassional ragtime tune thrown in. The dance is Saturday night, February 2nd, at the Black Diamond Community Hall, 1942 Black Diamond Rd., Port Angeles. Dances will be taught and called by experienced Port Angeles caller Erran Sharpe. Sharpe started calling in 1979 in New York and New Hampshire. He now calls exclusively in Port Angeles. Sharpe calls a variety of easy and challenging dances that keep dancers of all abilities moving and smiling. Newcomers are encouraged to come at 7:30 pm when the basics of contra dance will be taught. Dancing is from 8 to 11 pm. Admission is by donation, suggested for adults $7 - $10, under 18 $3, under 10 free. You do not need to come with a partner. Dress is casual, come as you are. Information on upcoming dances is available at www.BlackDiamondDance.org.